In partnership with King County Public Health, Solid Ground’s Family Assistance program has been engaged in outreach and education on the Affordable Care Act (ACA) since open enrollment began October 1. As the December 23 enrollment deadline to receive benefits starting January 1 approaches, it becomes more important than ever to reach out to King County residents. Despite the well-reported problems with the federal website, HealthCare.gov, Washington State’s exchange site, wahealthplanfinder.org, has had relative success enrolling people, though not without its own challenges. While the state exchange site has had its hiccups, it is still performing better than the national federal enrollment website. As of December 3, wahealthplanfinder.org enrollment topped 175,000 while the federal exchange, which serves 36 states, enrolled about the same. Stephanie Earhart, Family Assistance Lead Benefits Attorney, is managing Solid Ground’s Education and Outreach program for the ACA. According to her, both the federal and state website glitches are causing the most issues with enrollment. “The problem with wahealthplanfinder.org is rooted in the fact that, in order to confirm an identity, a cross-check must be performed through the HealthCare.gov website – which also hooks up to the IRS, Social Security and immigration sites. If anything goes wrong with those hubs, we get an error code on our end. People enrolling will then be told to call the customer center, but those centers are overloaded with calls,” Stephanie explains. Instead, she encourages King County residents to use the Washington exchange website if possible or find an assistor to help set up an account and work through any issues that might arise. Neighborcare Health has partnered with Solid Ground, acting as in-person assistors for those needing help with enrollment and navigating the website. A Neighborcare assistor provides enrollment support at Solid Ground every Tuesday between 1-5pm, or you can call 206.548.3013 to schedule a free appointment with an eligibility specialist at a local Neighborcare Health clinic. One of the Education and Outreach program’s most important goals is to end confusion about ACA and the benefits offered – which is still causing people to hesitate to enroll. “I still talk to clients who have no idea about the Affordable Care Act, or what they have heard is bad. As an agency, that’s one of the reasons Solid Ground is supporting education and outreach. We want people to know that this is actually a good thing. We support it. You can trust it,” Stephanie expresses. She recommends the King County Public Health website as a great resource for more information on all the wonderful benefits – such as the 10 Essential Benefits – Affordable Care coverage has to offer. If you would like us to visit your community organization to do an education/outreach event, please contact Stephanie Earhart with the Family Assistance program: stephaniee@solid-ground.org or 206.694.6714. Posted on October 7, 2013 by Gordon McHenry, Jr. 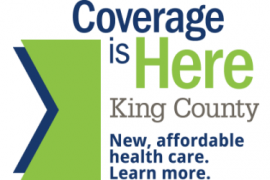 Starting October 1, 2013, over 180,000 persons in King County (280,000 in Washington State) have the opportunity to obtain Medicaid or affordable subsidized medical insurance. This incredible opportunity is the result of the Affordable Care Act, also known as Obamacare, with the new benefits beginning on January 1, 2014. I have the privilege of serving as one of the three co-chairs appointed by King County Executive Dow Constantine to ensure that nonprofit/community-based organizations, businesses and the medical community coordinate their respective sectors to actively partner with King County to educate, conduct outreach and assist the County and cities in enrolling those persons who are eligible to have affordable medical care. I am proud that Solid Ground is one of a select group of partners approved by King County to engage in education and outreach about affordable care. And while Solid Ground will not be offering in-person enrollment assistance, we will refer people to community partners who can help people enroll. Ensuring that low-income persons, including single adults, have Medicaid and that low- and lower-income residents (singles and families) have affordable quality medical care is a once in a lifetime occurrence. Having easy access to preventative medical care and to be able to receive medical treatment when sick or injured is a basic human right – one that has routinely been unavailable to those who are poor and oppressed. 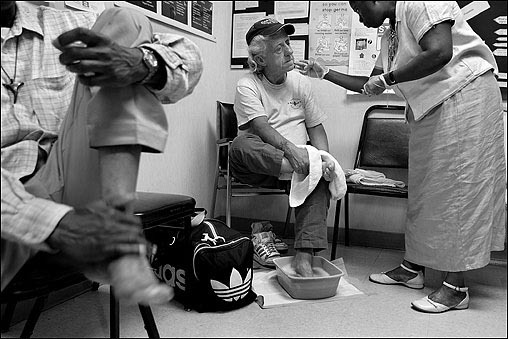 Medical care is fundamental to a healthy lifestyle and to our mission of ending poverty. My ask is that every person at Solid Ground find a way to actively participate in ensuring that the communities we serve are aware of and take advantage of these critically important benefits. The goal is to activate Solid Ground in support of enrollment in the Affordable Care Act and to develop a list of various ways we all can participate. Please share any ideas you have with us. Working together, we can make a huge step in achieving our vision of a community that has moved beyond poverty and oppression to a place of thriving! For more information, go to the Washington Healthplanfinder website. With all the excitement over the U.S. Supreme Court’s decision to uphold the Affordable Care Act, we asked some of Solid Ground’s experts: What does it mean for low-income folks in Washington State? We present the following report thanks to Kate Baber of the Statewide Poverty Action Network and Stephanie Earhart, lead Benefits Attorney with Solid Ground’s Family Assistance program. Yesterday, the Supreme Court upheld the 2010 federal health care reform law, known as the Affordable Care Act. This landmark decision allows the imple-mentation of the Affordable Care Act to move forward and will greatly expand low- and middle-income Americans’ quality and access to health care. The Affordable Care Act will bring much needed relief to low-income communities across Washington. Since the onset of the Great Recession, access to health care coverage has become further out of reach for families and individuals due to economic hardship resulting from job loss, debt and foreclosure, cuts to employer-sponsored health coverage, and reductions in state-funded health care programs. As the economy recovers, health care reform will ensure Washington has a healthy workforce, children and students are better able to learn, and seniors and adults living with disabilities can survive. Beginning in 2014, 800,000 of Washington’s 1 million uninsured people will be able to access health insurance. In addition to expanding access to coverage, the Affordable Care Act includes consumer protections that will greatly improve the quality and lower the cost of health care coverage for the 5.8 million Washingtonians who are currently insured. Insurance providers are barred from imposing lifetime benefit limits on people who are sick and need expensive care to get better. Insurance providers cannot deny coverage to children with pre-existing conditions. Adults with pre-existing conditions can access care through a Pre-Existing Condition Insurance Plan. Children can stay on their parents’ health care plan until the age of 26. Medicaid will be expanded to cover an additional 333,000 low-income Washingtonians. In Washington State, everyone at or below 133% of the Federal Poverty Level will be covered by Medicaid beginning in 2014. Overall, 477,000 low- and moderate-income people will become eligible for subsidized care in the new health insurance exchange program. Insurance providers cannot deny coverage to adults with pre-existing conditions and can’t impose limitations on enrollment. Insurance providers cannot charge higher premiums to women or sicker people and have new restrictions on how much they can charge seniors. Prescription drugs will be more affordable for 1 million seniors and people living with disabilities in Washington as the gap in Medicare drug coverage begins to close until it is eliminated by 2020. Seniors will be able to access free preventative care. Deductibles and co-payments for preventative services will be eliminated for everyone. Coverage will be expanded for early retirees who are too young to qualify for Medicare, but no longer receive employer-sponsored coverage. State subsidized health care programs that Poverty Action has worked hard to protect from budget cuts and elimination during the Great Recession will receive new federal support and will be combined with Medicaid and expanded. These programs include: health care coverage for kids (Apple Health), coverage for people living with disabilities and mental health issues (Medical Care Services), optional Medicaid programs such as dental care and medical interpreters, and coverage for low-income, working families (Basic Health). If you’d like to know more about Medicaid Expansion in Washington State, go to: http://www.hca.wa.gov/hcr/me.